Promotions are supposed to fuel your sales and introduce your brand to new shoppers. Over 70% of promotions fail to drive sustainable sales. This can derail or even bankrupt a brand. What if I told you there was a better way. Interested? Remember, this podcast is about you and it’s for you. 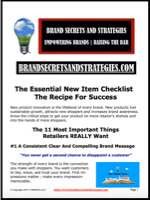 The goal here is to help you get your products onto more retailer shelves and into the hands of more shoppers. If you like the podcast, subscribe, share with a friend, and please leave a review. At the end of most every episode, there’s one free downloadable guide. I always try to include one easy to download, quick to digest strategy that you can instantly adopt and make your own, one that you can use to grow sustainable sales and compete more effectively. 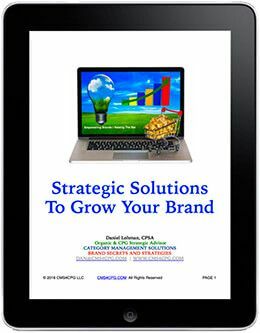 Maximizing your promotional effectiveness is the easiest way to grow sales and compete more effectively. Every dollar spent to get your product into the hands of shoppers falls under the umbrella of trade marketing. The challenge is that most promotional spending is largely ineffective and wasted. Effective promotions expand your brand’s runway, grow sustainable sales, and they maximize your promotional ROI. Trade marketing encompasses every effort required to get your product into shoppers’ hands. Promotions are required by retailers. Distributors and shoppers expect them. They can add rocket fuel to your sales when they’re done correctly, or they can bankrupt you when they fail. Trade promotions typically represent the single largest line item on any brand’s income statement. It literally affects every aspect of your brand’s success and it can determine how many days, months, years, or decades your brand will be around. The harsh reality is that most promotions fail to achieve their objective of raising sustainable sales and introducing your brand to new shoppers. This is the primary objective for every promotion. Anything else is simply a waste of money. Specifically, paying for promotions that don’t move the needle, paying for promotions that don’t introduce your product to new customers and paying for promotions that reward existing customers for buying your product. There are better ways to do this, more cost-effective ways, and ways where you can actually own that customer so that you can have a relationship with them. We’ll talk about that in a little bit. I’ve heard estimates that well over 70% of promotional spending is wasted. 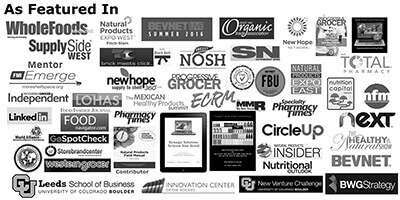 Additionally, over 80% of natural brands fail within the first year, and this is a major contributor to that. You cannot afford to get this wrong. Let’s face it. Retail is “pay to play” and big brands have a substantial unfair competitive advantage. You feel like the deck is stacked against you, and for good reason, but it doesn’t need to be this way. You’re taught to use the same tired old strategies that every brand uses to sell your product. Your strategy should be as innovative as you are. You’re taught that your checkbook is the most important tool in your arsenal and that your CEO needs to be a perpetual fundraiser. I want to challenge that. What if I told you that there is a better way? What if I told you that you were not alone and that even the big brands struggle with this? It’s true, and I have first-hand knowledge working with retailers as well as big and small brands to prove it.